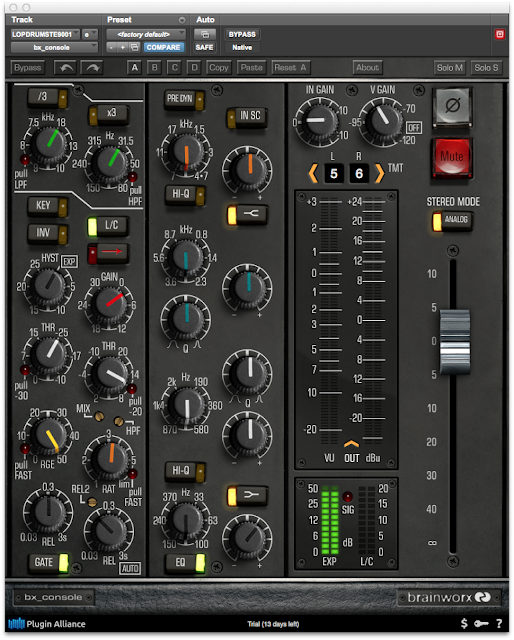 Plugin Alliance's newest plugin is The Brainworx bx_console which is modeled after Brainworx' own Neve VXS console. I did some mixes in the 90's on the Neve VR in Studio A of Soundtracks Studios NYC, ( I think they've since sold the console) but was only vaguely familiar with the Neve VXS so I was very curious to hear what Brainworx did with the bx_control channelstrip. "The VXS was something of a bridge between vintage consoles like the 80 and VR series and the modern 88RS. Loaded with features like a comprehensive EQ and dynamics section, it still delivers that classic English punch and vibe." Brainworx modeled the Neve VXS channelstrips with their new TMT technology. "The bx_console is the first plugin from Brainworx to utilize its revolutionary new Tolerance Modeling Technology, which sets a new standard for analog realism inside the box. While all other current analog modeling systems concentrate on emulating a specific “golden” unit, Tolerance Modeling Technology, or TMT, meticulously models the variation of individual components used in an analog circuit to capture the natural unit to unit variations found in prized analog gear." The bx_console plugin is cpu friendly and allows you to easily apply multiple instances in your DAW. 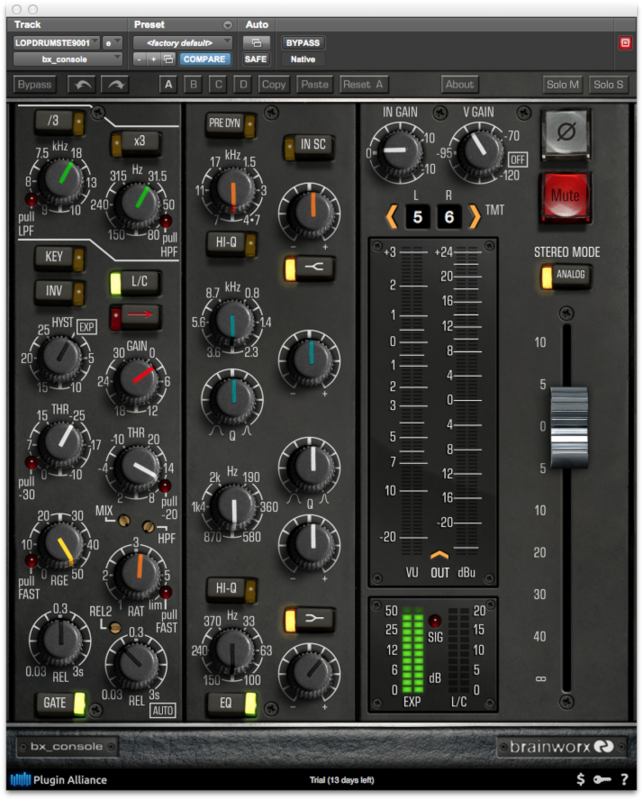 Then by assigning different channel numbers in the plugin (it offers up to 72) Brainworx says you are able to replicate the sound of an actual Neve VXS console and the subtle variations that occur from channel to channel. "All analog components have manufacturing tolerances that state an acceptable range of differences between them. These tolerances vary from 1% on some parts up to 20% in many standard electronic components.These changes absolutely do make an audible difference in how one console channel sounds compared to another. 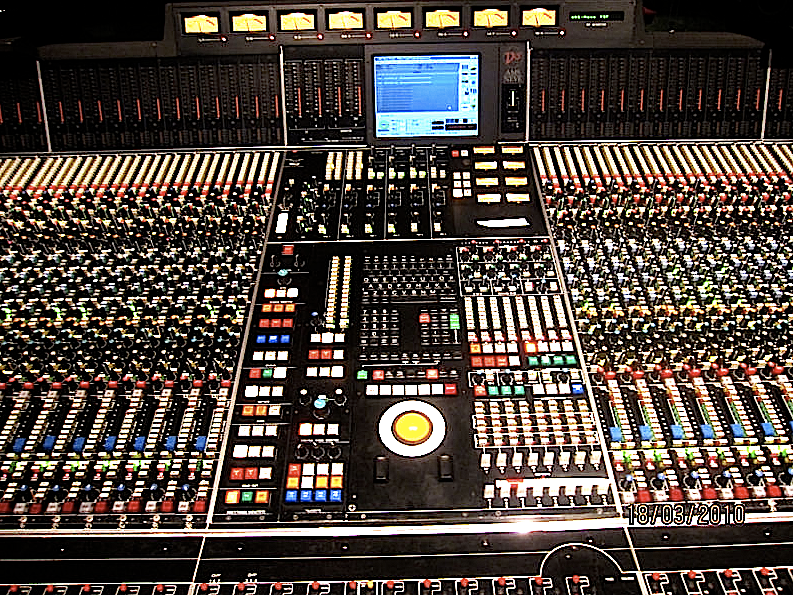 This variation, when taken across many channels in a mix, is part of what makes an analog console sound the way it does. 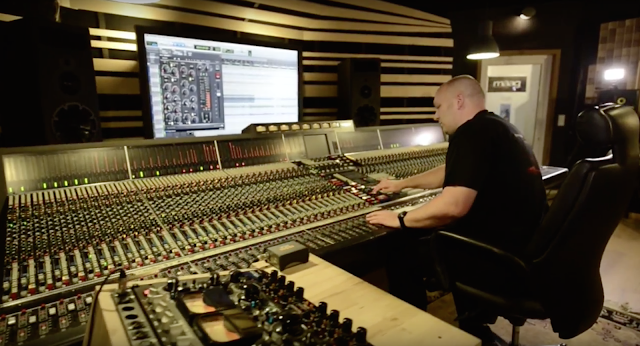 Especially the tolerances between each of two channels in multiple stereo setups (stereo-signals, busses and sub-groups) of a bigger mix session introduce small phase differences, unbalanced center frequencies and center-offsets." I downloaded and installed the 14 day demo. I was able to open and audition the bx_control in Logic Pro X, Protools 10 and Studio One v2.6 without any issues. 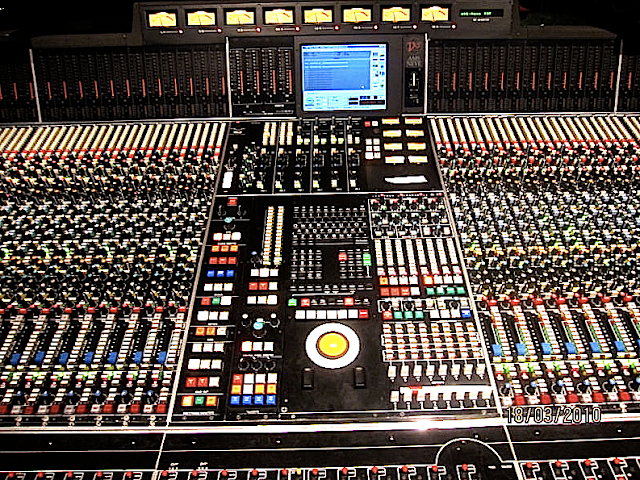 The sound is more like the Neve 88R than the older Neve consoles and could be described as transparent but warm and punchy. It's very similar to the UAD Neve 88r channelstrip but I'll have to do some more in-depth mixing to tell. I think Brainworx is on to something with the TMT technology because I can hear subtle differences as I change the channel numbers. You can also bypass this feature by changing the stereo mode from analog to digital.